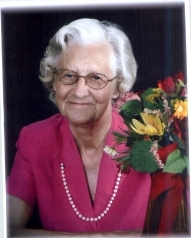 Melba L. Marvin, 87, of Vinton, went to be with the Lord on November 21, 2018. Its been said that Melba can always be remembered doing a good deed. She was predeceased by her husband, James Marvin; parents, Ida and Asa Lawhorn; brothers, Calvin Lawhorn and Ronald Gene Lawhorn, and nephew; Scottie Lawhorn. She is survived by her brother, Forest Lawhorn; step-son, Wayne Marvin (Michelle); step-daughter, Jan Hooks; step-grandchildren, Hattie and Ella Marvin ; niece, Pam; nephews, Ron Long (Linda), Rick Long (Lisa)David Lawhorn (Jenny).